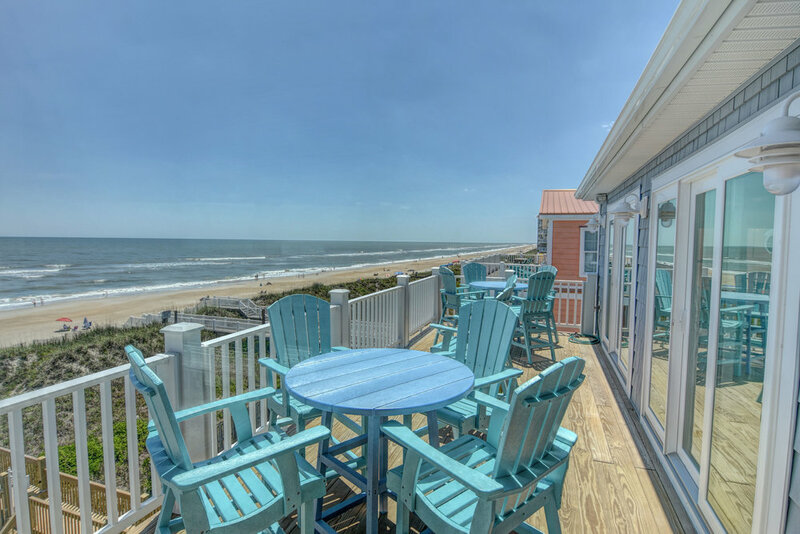 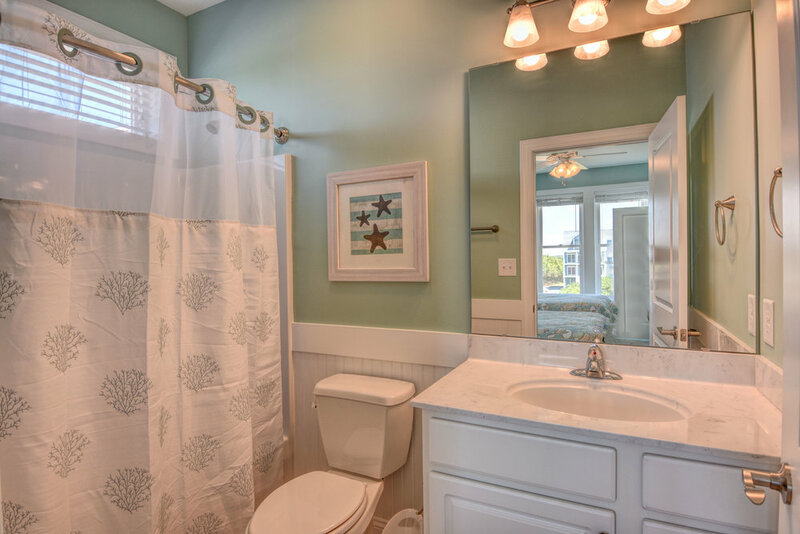 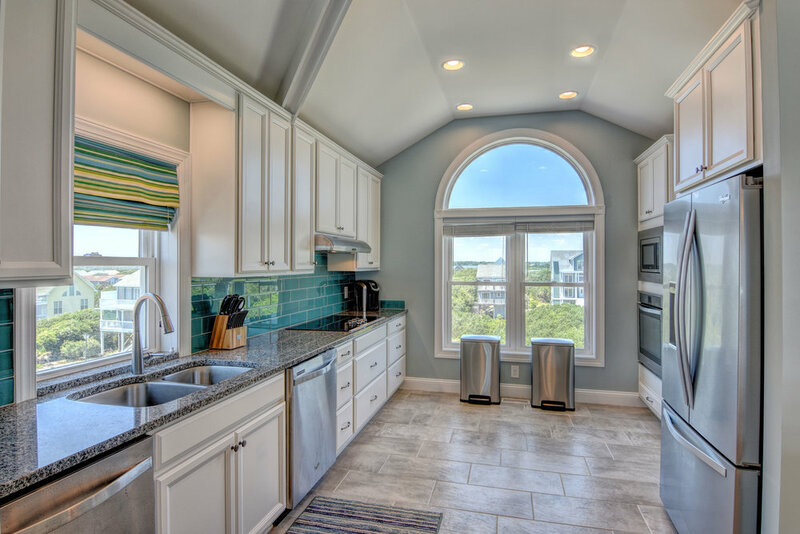 This oceanfront vacation rental property is going to be one of the top destinations of Topsail Island! 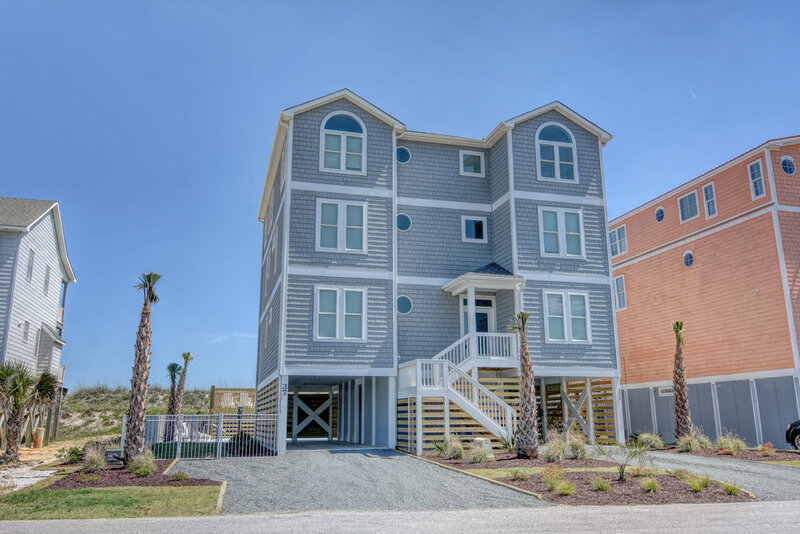 Off of the main beach roads, 37 Porpoise Place is located in the exclusive Dolphin Shores community. 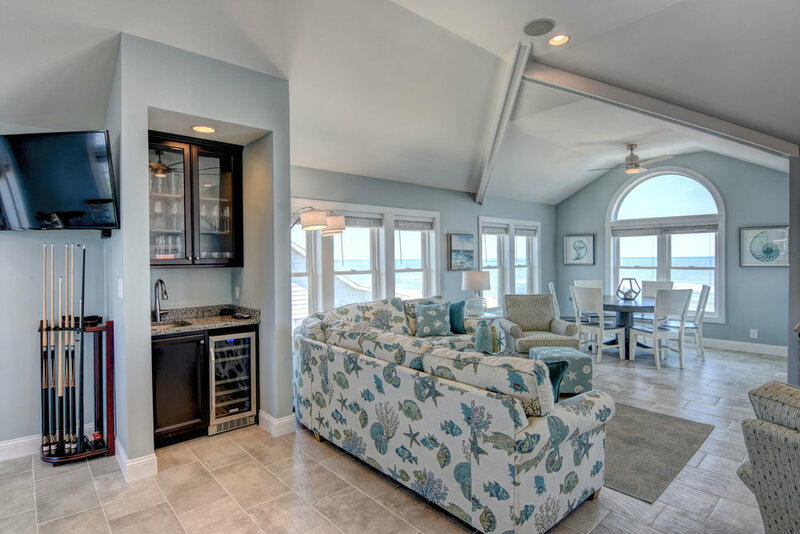 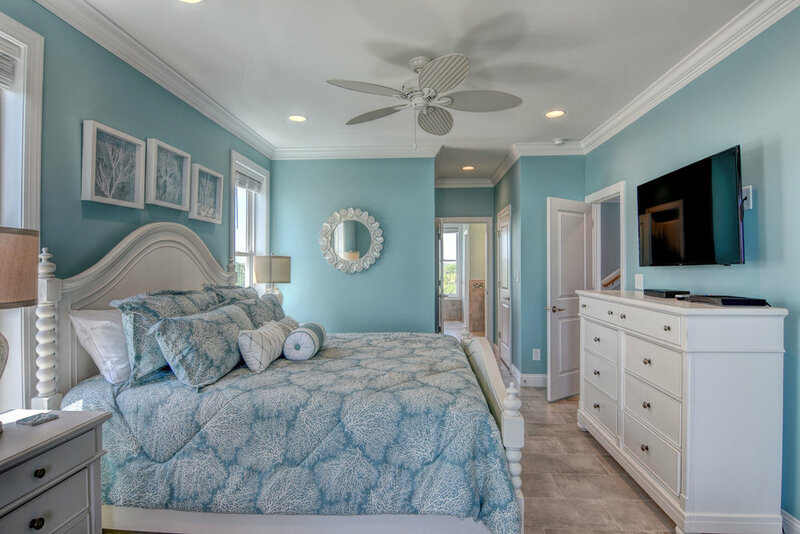 This new vacation luxury home has 8 bedrooms, each with private baths; including 4 oceanfront bedrooms with King beds and deck access, plus one large oceanfront Master suite. 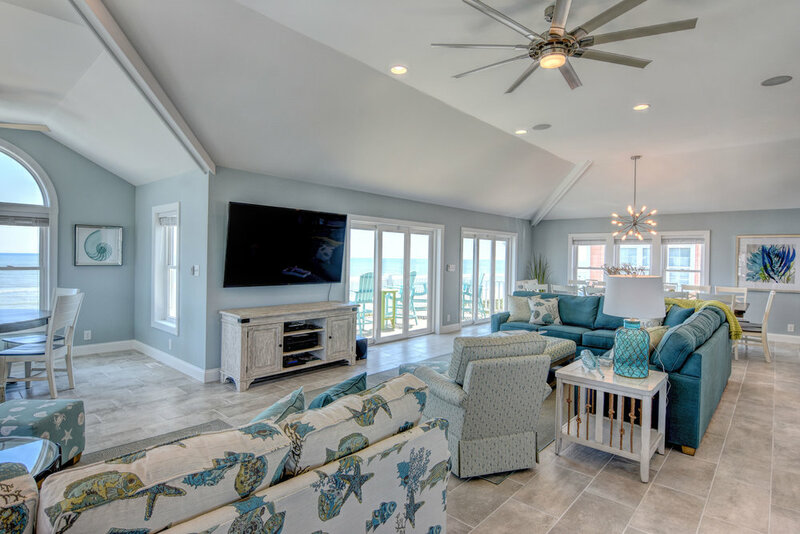 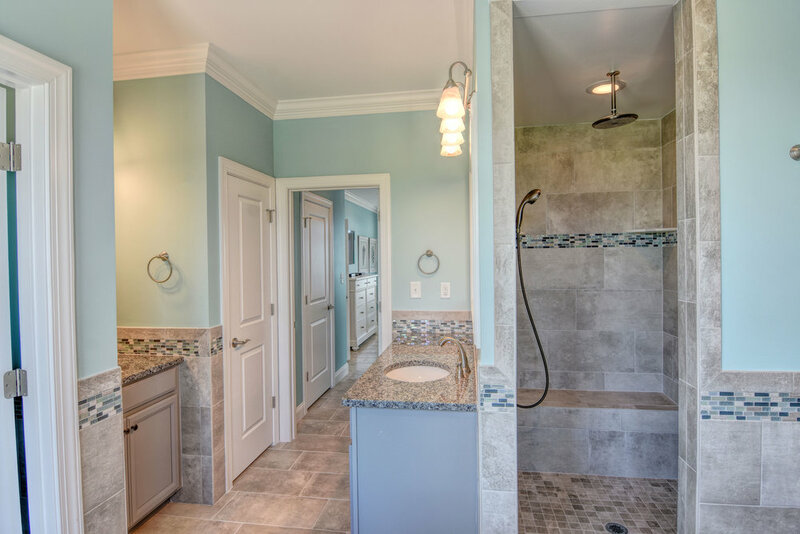 Exclusively designed with the vacationer’s wish list in mind amenities include an elevator, 15 x 34 Salt Water swimming pool, hot tub, tile floors throughout, televisions in all bedrooms (total of 11 televisions in this home), media room, and separate game room. 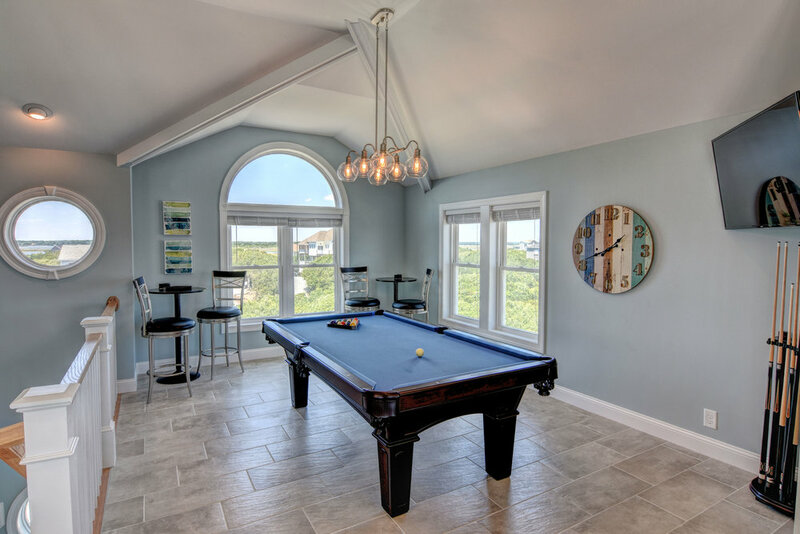 With plenty of room for everyone to spread out in over 4,500 SF, there is an additional 2,700 SF of deck and pool area for outdoor enjoyment. 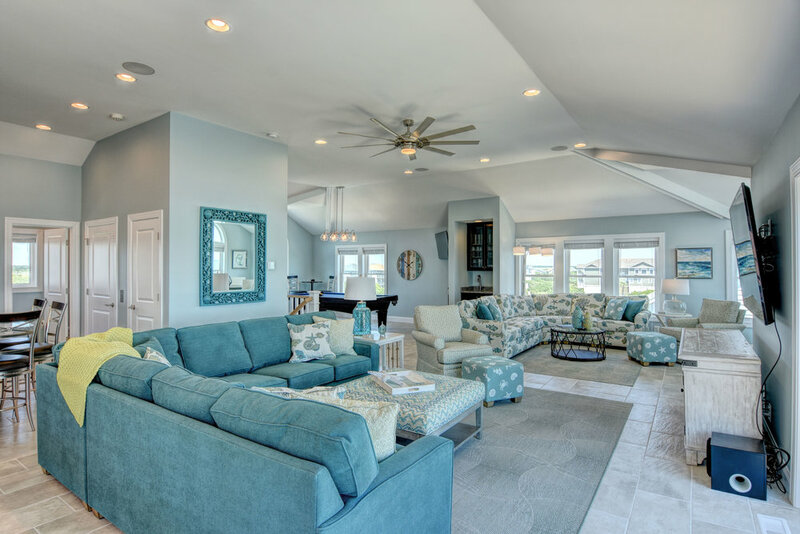 Paradise beckons you to the top floor where you to enjoy 360-degree panoramic views for miles from everywhere you stand in this open living concept. 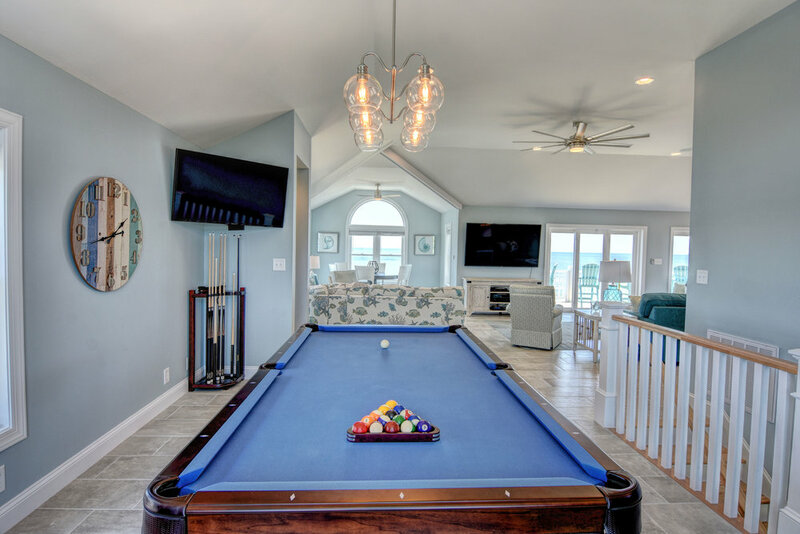 A large modern kitchen, dining space, two sitting areas with 70-inch television, pool table, and game table area will make this your favorite hangout; views to watch the dolphins play, 11 foot ceilings, entertainment; room enough for the whole family together. 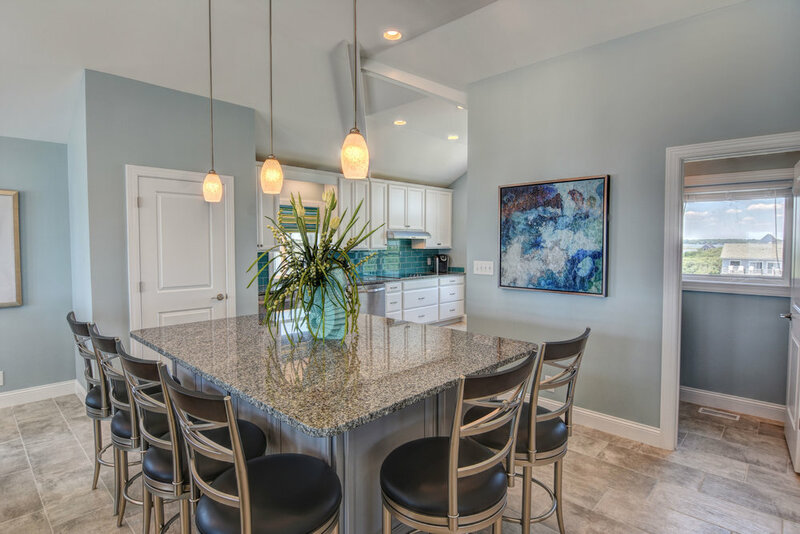 Check out the floor plan renderings to see for yourself all there is to enjoy in this brand new vacation home oasis.